We have developed additional security measures for our conversions maintaining high security to doors and windows. 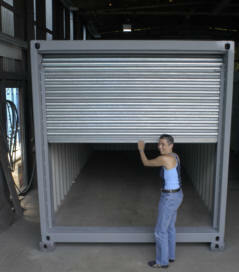 One example, is an external steel shutter we designed that is operated and locked entirely from inside the container. Containers are perfect for conversion into almost anything you can possibly think of ! and are a very cost effective alternative to the lesser robust cabin type accommodation. 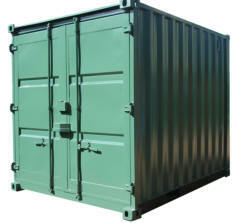 Containers are easily moved on standard transport and can be relocated with ease. 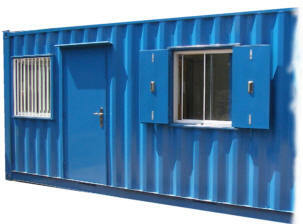 Various types of cladding are available to enhance the external appearance of your container conversion. 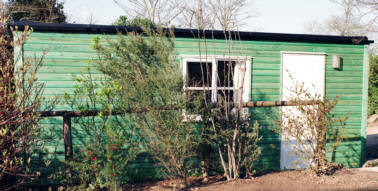 Cladding maintains strength & security that Containers give, whilst fitting into more rural settings. 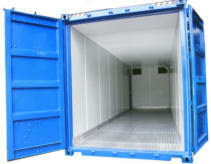 Containers can also be formed into multi storey type accommodation, with access via internal or external staircases. The addition of windows, heating, air conditioning and standard doors, fully plumbed and with electrics installed ready for connection, transforms containers into practical cost effective accommodation for many uses. Standard size containers are 20' long x 8' wide x 8'6" high or up to 40' in length, however we can convert to any given size and if a more permanent structure is required they can be joined together to achieve greater widths and lengths. We have many years of experience and are able to draw from many previous customers specifications, so we will always be able to advise and solve issues that may be of concern. 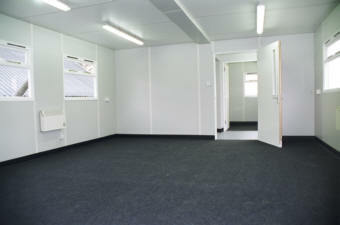 Customers are welcome to view our completed units or work in progress at our premises in Essex. From experience, we can advise which type and size of container and what the basic specifications should be, to facilitate the most suitable and cost efficient unit. 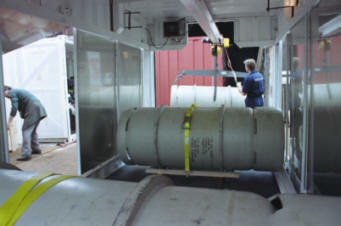 To date we have been able to accommodate every conversion request asked of us, from livestock carriers to a highly sophisticated water purifying plant. We offer a personal, prompt and efficient service supplying any type of secure mobile unit to suite all your needs. No two container conversions are exactly the same so prices vary depending on your requirements, however please visit our example section to see a few of the conversions.